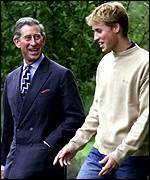 Prince Charles is without doubt the most celebrated 'amateur' artist in Gloucestershire (his country residence is Highgrove House, located on the outskirts of Tetbury). His Gloucestershire home contains many of his original works, generally landscape paintings of Royal Estates or scenes from his extensive travels. 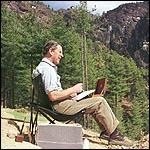 Charles has a passion for painting; a trait shared with Queen Victoria and Prince Albert, The Duke of Edinburgh and Prince Andrew. He has received tuition from Edward Seago, John Ward, Bryan Organ and Derek Hill, and his aptitude for art has found its place in his extensive charitable work, both in terms of raising funds and providing opportunities for young artists. HRH Prince Charles is the Chairman of The Royal Collection Trust, an Honorary Royal Academician, and an Honorary Member of the Royal Institute of Painters in Watercolour and the Royal Watercolour Society. 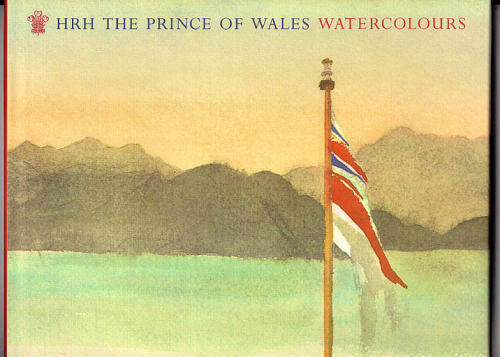 In recent years limited edition prints and lithographs of the Prince's original watercolours have been sold, the proceeds of which have gone directly to the Prince of Wales Charitable Foundation. It will come as little surprise to hear that these prints market at a very high value; collected as they are by the rich and famous. Proceeds from these sales have amounted to £4 million over the last decade or so. The prints themselves are expected to increase in value dramatically in years to come. "Some of the sketches are, I fear, rather unfinished - usually because I have run out of time or because, in places like Italy or the Middle East, I have become embarrassed at keeping the police waiting for too long!" It's hard enough to paint in public as an anonymous soul, let alone when accompanied by security and bodyguards. I wonder if any members of the public unwittingly came up to the Prince, as he worked away on a watercolour, offering to buy the painting when it was finished, as so often happens when painting en plein air? Probably not too likely at Balmoral! 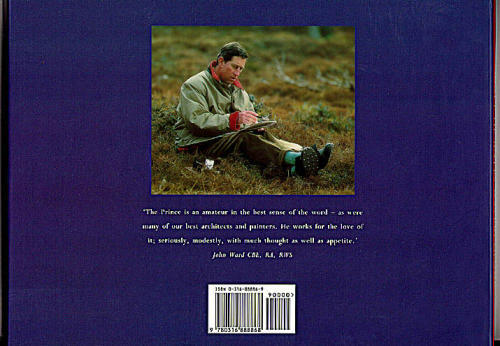 "I only hope that those who are rash enough to thumb through this book may be helped to discover what infinite beauty and delight there is in the details of God's creation, and how vitally important it is - if we are to preserve the essential elements of this beauty and delight - that man-made structures and landscaping features are fitted into the overall picture with sensitivity and vision." Written by Andy Lloyd, with thanks to Clarence House for their kind permission to post this information on-line.